It has been said that failing to make provisions for your assets upon your death is a reflection of apathy to your loved ones. The value of estate planning should not be overlooked. The establishment of a trust can help prevent the careless spending of an heir. Taking time to consider sibling rivalry when establishing an estate plan can reduce family conflict. Establishing a will, trust, or foundation can help you protect your legacy and give you the peace of mind knowing that your life's work will transfer to your intended recipients. Can I afford to leave money to my children? Most parents want to leave money to their children or grandchildren. It is a noble goal and should be placed as part of your financial planning objectives. If you have children with special needs this requires specialized planning and legal paperwork. Also, business owners have particular needs to protect their assets for the next generation. What should I do if my child is financially irresponsible? If your child is not financially savvy or has a spending problem, then setting up a trust may be the right decision. One of the most important issues with a trust is electing a trustee that is willing to take on the responsibility of dispersing money and dealing with the needs of the spendthrift child. I inherited a large sum of money, why do I need a plan? Usually after one receives a large sum of money, one's cash flow may appear infinite, but, most recipients soon realize it is very easy to spend money quickly and to be worse off than before their new found wealth. Let us teach you how to manage expectations of your family and friends, as well as your own. We help you get organized, define boundaries and establish priorities. We make sure you have a plan, as wealth can certainly change how you live. Remember, this is a time when the collection of decisions and choices you make can turn your life in a new direction that may be difficult to reverse. Do learn what proceeds are not subject to income tax if you are a beneficiary of an inheritance. Do know what proceeds flow directly to the beneficiary without going to probate. Do a financial plan to evaluate how your inheritance will affect your financial situation. Do know that you may receive investment solicitations that are "to good to be true" if the word is out that you inherited a large sum of money. 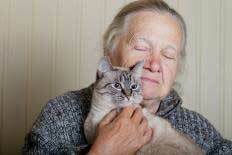 Do let your loved ones know your end of life wishes. Do consider the potential resentment among siblings if you designate family beneficiaries disproportionately. Do know the passing of assets upon death are handled differently according to how you established your accounts. Trusts and designated beneficiaries avoid probate while wills do not. Do understand that trusts can be developed to specify how and when assets are available to your inheritors. of family wealth is gone by the second generation. of Inheritors have not disclosed their assets to their children. of American adults do not have a will or living trust. of Americans do not feel the next generation is prepared to manage a large transfer of wealth. Don’t forget taxes are usually based on the value of the taxable estate and are paid before the assets are distributed. Dont assume all annuities can be inherited, a fair amount of them stop payment upon the owner's death. 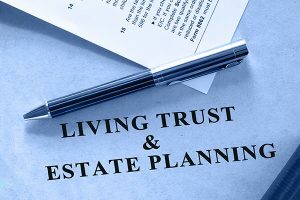 Dont overlook the importance of a trust that can typically allow access to funds more quickly than assets that are transferred to a beneficiary via a will. Don’t forget to protect your assets from probate by naming beneficiaries on assets that allow beneficiary designations. Don’t assume a large inheritance will last the rest of your life, it is very easy to spend money quickly. Don't feel compelled to designate a family member as trustee. The position of trustee is very important and must be done by someone who agrees to carry out your wishes. Lisa is a mother of three children. Her greatest concern is having peace of mind knowing that upon her death, her estate will be divided equally among her children. She is also hopeful that her legacy will bring her children together. Since the death of their father, ill feelings divided the children. The two eldest children are doing well, Elizabeth is married to a successful entrepreneur, and Reece is a CFO in a manufacturing company. Lisa’s youngest son Jackson struggles with keeping a job and saving money. After numerous meetings, we developed a plan that will distribute most of Lisa's money to her children. Working with an attorney, we created a trust for Jackson which will limit his access to funds until he is older and settled in life. Also, we set up a family gifting account so all the children will have to work together to make donations to local animal shelters and foundations, which means a lot to Lisa. Today, Lisa feels more in control. 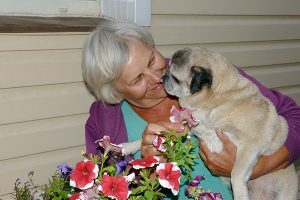 She has implemented a plan that will not only provide for her children but will have the children work together for a common cause to help animals. She created a legacy for herself and her family.